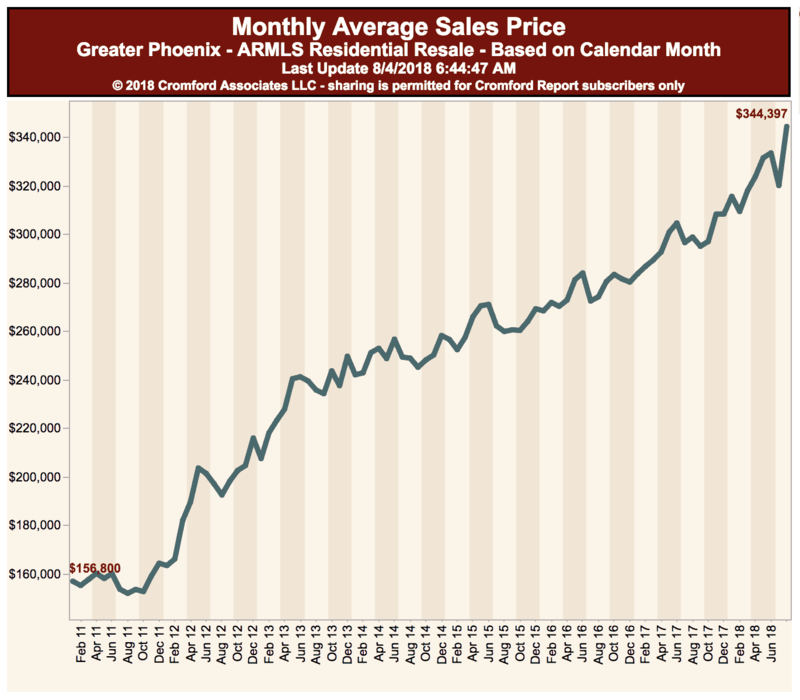 Our Phoenix Real Estate Market Report – August 2018 will spell out the facts. No more having to rely on your buddy’s “hunches”. Here, it’s all about the data. 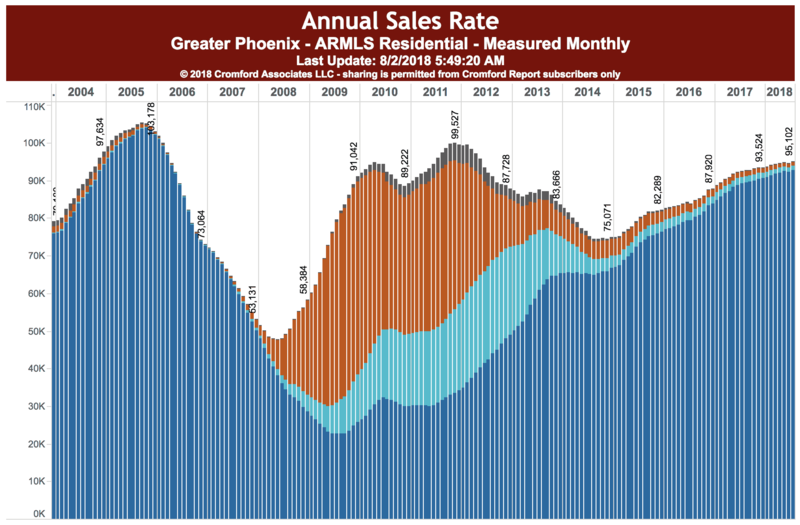 There are charts, graphs, and commentary to help illuminate the Phoenix real estate market. And now, our Phoenix Real Estate Market Report for August 2018. Wondering where home values are headed? 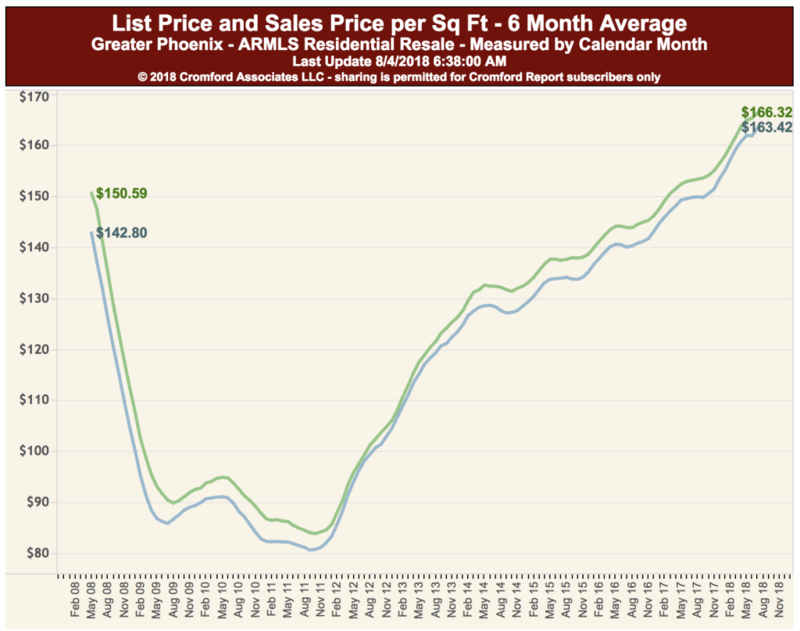 Let’s look back and see what has happened with Greater Phoenix home prices over the last few years and months. Let’s figure out where the market is headed. 🤓 What Does this Data Mean? 🗣 What does this mean if you’re buying a house in Greater Phoenix? 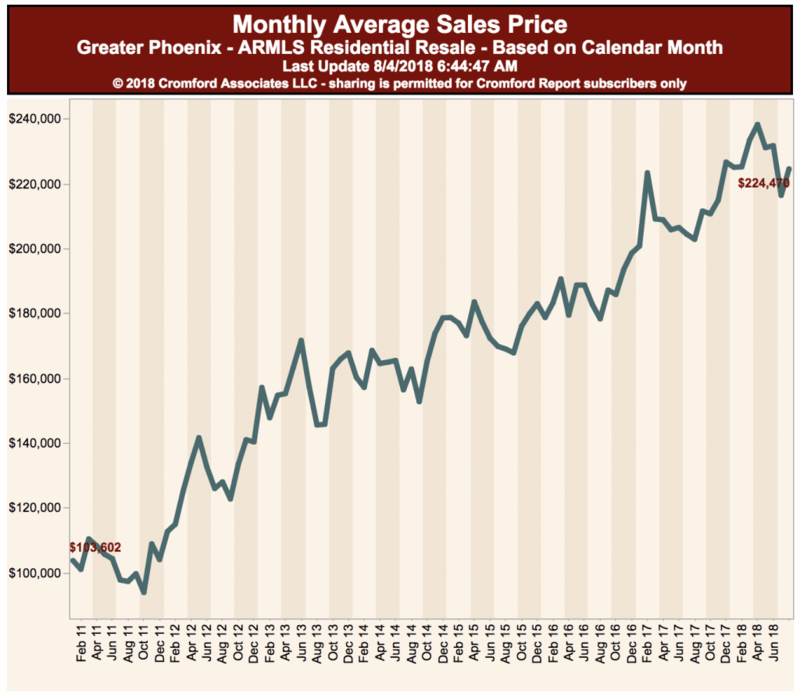 The average monthly sales price in the Greater Phoenix metro is $344,397. As you can see from the chart below this indicator has enjoyed a steady climb for most of the months displayed. 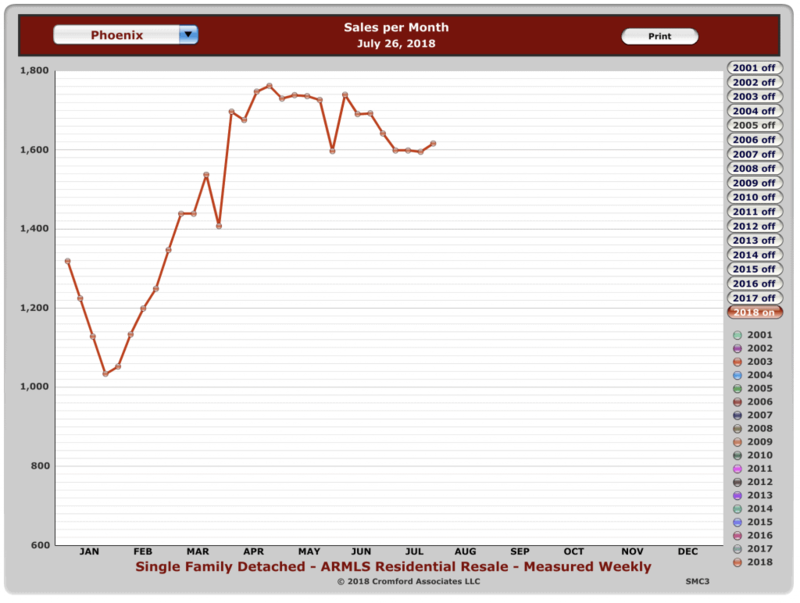 The graph below plots months of supply based on the monthly sales rate. 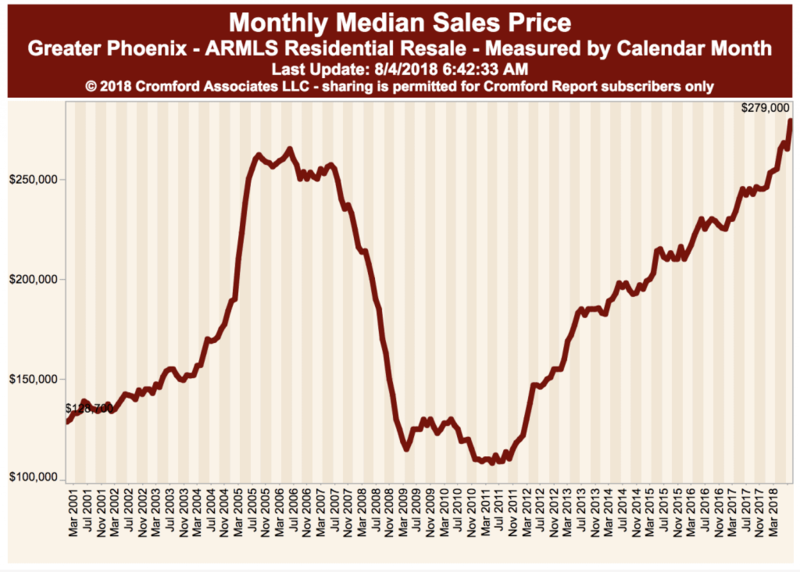 It is based on all residential sales noted in ARMLS within the Greater Phoenix area. The current rate of annual sales is resting at 1.7 months of supply. The sales volume of home sales is currently at 95,102. As you can see by the dominant sea of blue bars on the right we are nearly void of bank owned, short sales, and HUD properties represented by the other colors. 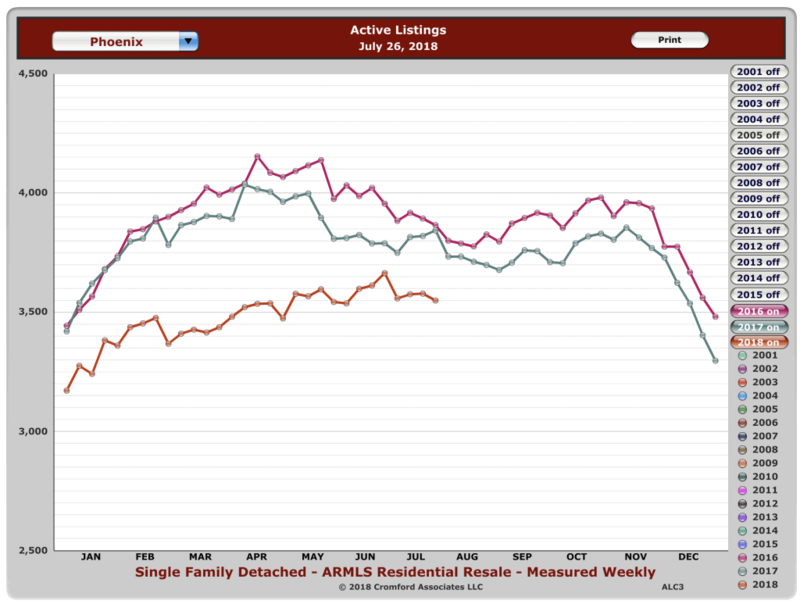 Greater Phoenix Housing Appreciation is likely to relax and return to historical averages of around 3% Click To TweetJudging by all of the data seen in our charts and graphs it appears as though the indicators are pointing towards a leveling in appreciation. It is likely that the Greater Phoenix metropolitan will relax the rate of hyper-appreciation realized over the past few years. We will probably return to the historical 3 percent annual appreciation that the valley typically sees. 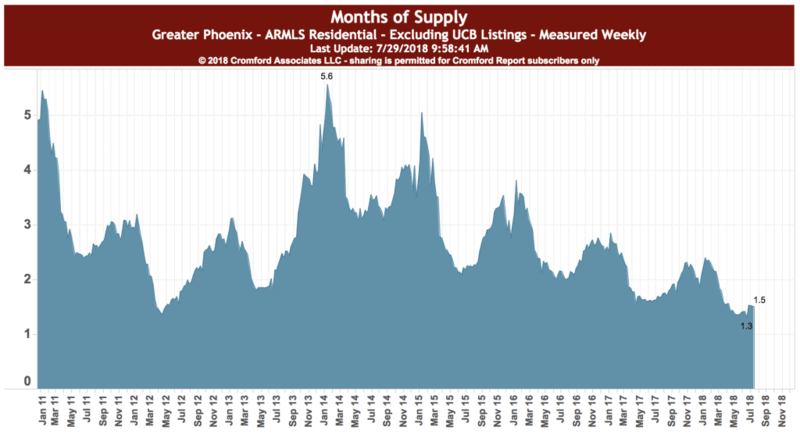 Lets take a look at the remainder of our Phoenix Real Estate Market Report – August 2018 and see what the data tells us. Existing Home Sales for August 2018 are holding strong. We think that sales volume will continue to be strong for the balance of the year. The Average number of days on the market in the valley is around 75. Clearly, 2018 buyers are making their purchases quickly before someone right behind them snatches up the properties they are admiring. 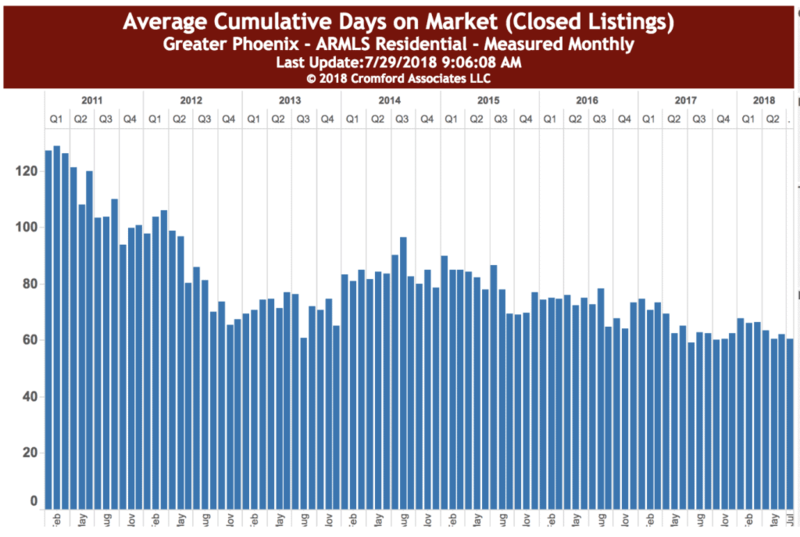 The active number of listings in Phoenix is trying it’s best to climb, but the consistent pressure being brought onto the market from aggressive buyers is cooling the ascent. The Average List to Close Price is darned near equal. Less than 2% separates these two numbers. This indicates two things: One, Sellers are pricing their homes realistically. Two, buyers know they have to pay top dollar. 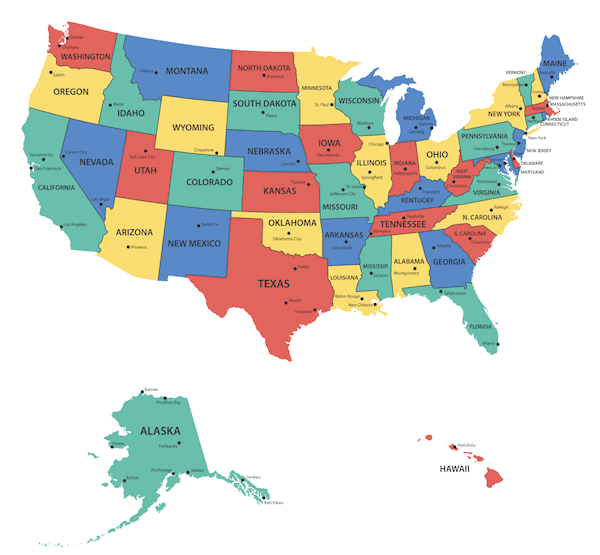 Of the total number of U.S. consumer households that were surveyed monthly in 2017, 63% of respondents were homeowners, 28 percent were renting, and nine percent lived with another person. 46 percent of the non-owners were thirty-four years or under, fifty-seven % have an income under $50,000, and 41 percent live in suburbs. Non-Homeowners and homeowners both believe that homeownership is considered a part of the American Dream. For non-owners, 8 of 10 say that homeownership is still part of their American Dream. Owners are slightly more optimistic at 9 out of 10. Maricopa County Median Price Range (past 5 years) is a healthy $279,000. A stark comparison to the year of 2011 when the median price nearly dipped below 4100,000. 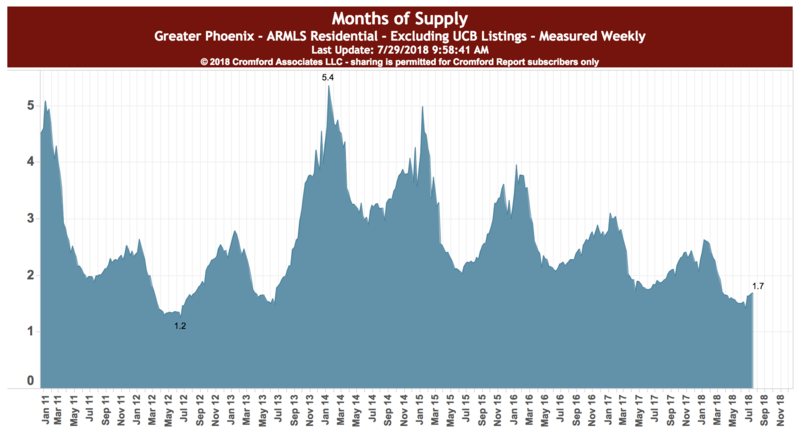 Phoenix and surrounding cities are continuing to experience a shortage of inventory. At the same time, the sharp increases in pricing are starting to soften. 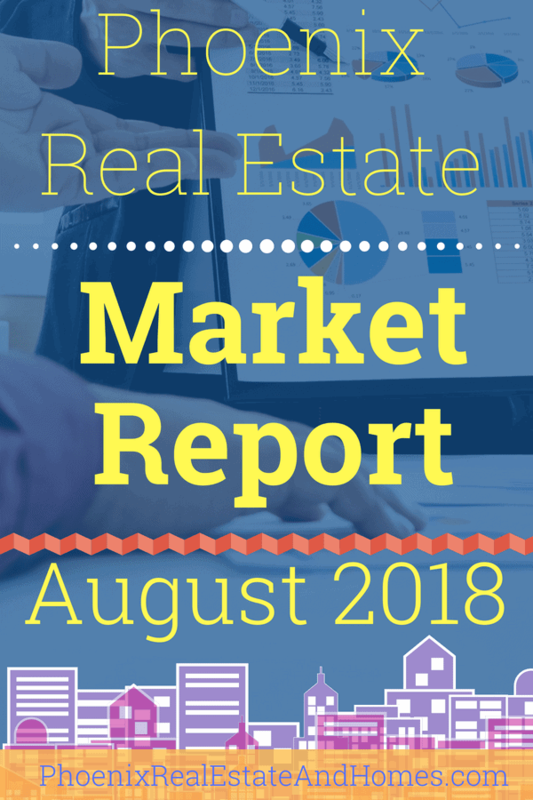 Our Phoenix Real Estate Market Report – August 2018 is designed to give you the data you need to make your best real estate decisions. 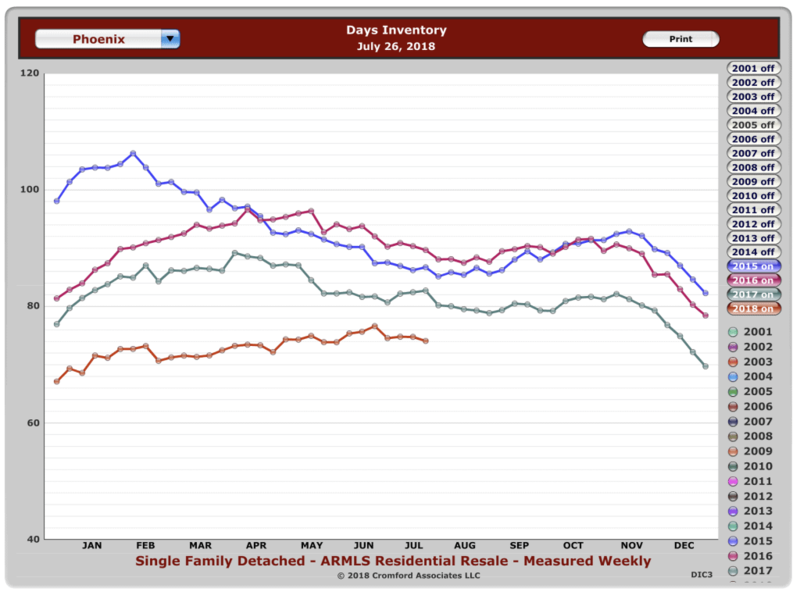 We hope that you are benefiting from this Phoenix Real Estate Market Report – August 2018.